Hey there! 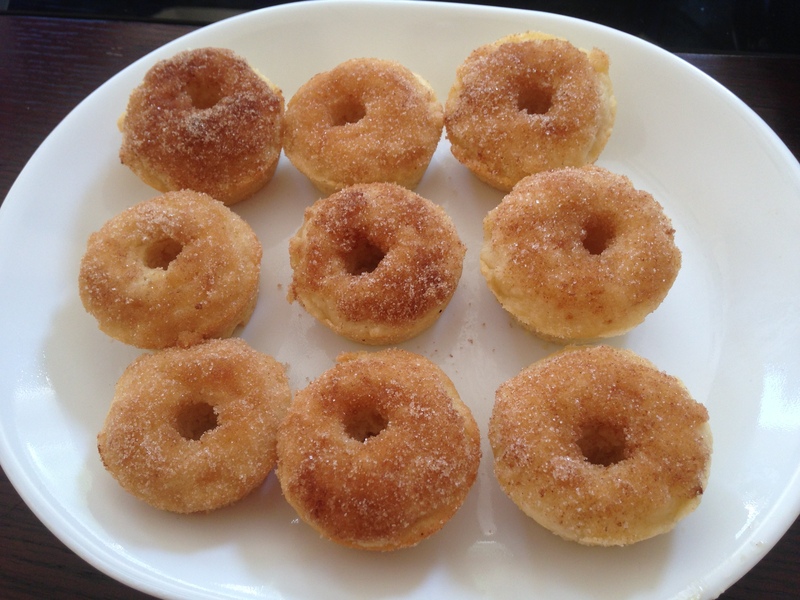 I’ve been wanting to make donuts at home for a verrrrry long time. Yet I’ve never done it since A) deep frying frightens me and B) I don’t have a donut baking pan. So today my friend and I were doing something we do quite frequently: talking about food and looking at amazing food pictures. Then I decided I would make donuts anyways. I knew I wanted to bake them and so I found a recipe that I thought would work. I mixed up the dough, then put it into a muffin tin. To make the centre hole, I spread the dough around a rigatoni noodle (creativity points?). For the cinnamon sugar topping, I melted down some margarine then dipped them into the cinnamon sugar. I will admit that I probably put a little too much dough into each well so the final shape was a little more muffin-like than I really wanted. The overall texture was pretty light and overall tasty. It’s Back to School season! The means lots of rushed mornings and breakfasts eaten on the run, on busses, and in class. Although I wont be falling victim to 8:30 lectures or six hour labs this year, I will be having some early mornings. To make things a little bit easier, I like to bake muffins on Sundays and eat them for breakfast throughout the week, along with a smoothie. 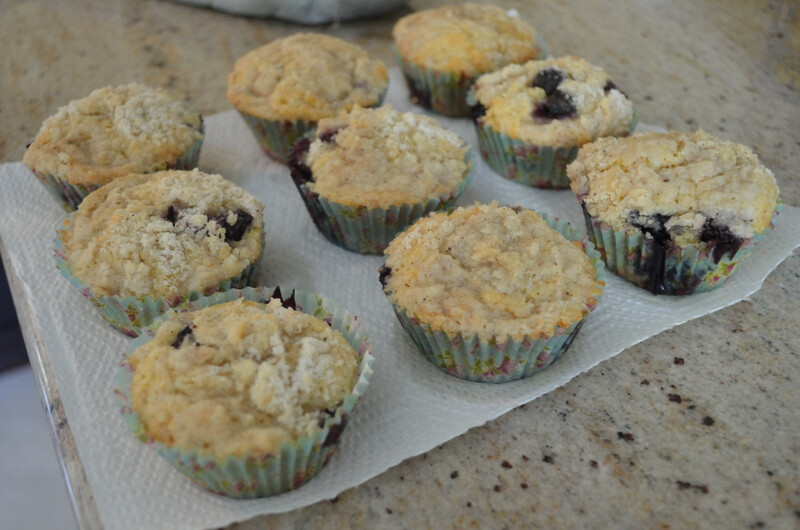 One of my favourites is this blueberry muffin, which I’ve been baking for about four years. I originally saw this recipe on a blog called Vanilla and Lace, and I have yet to find one that is more delicious. You can replace the blueberries with pretty much any fruit, such as peaches, or blackberries. It takes all of 30 minutes, from start to finish, to whip up these scrumptious treats. I used half white and half whole wheat flours here, to up the health factor, but you could definitely play with the batter and tweak it to your liking. 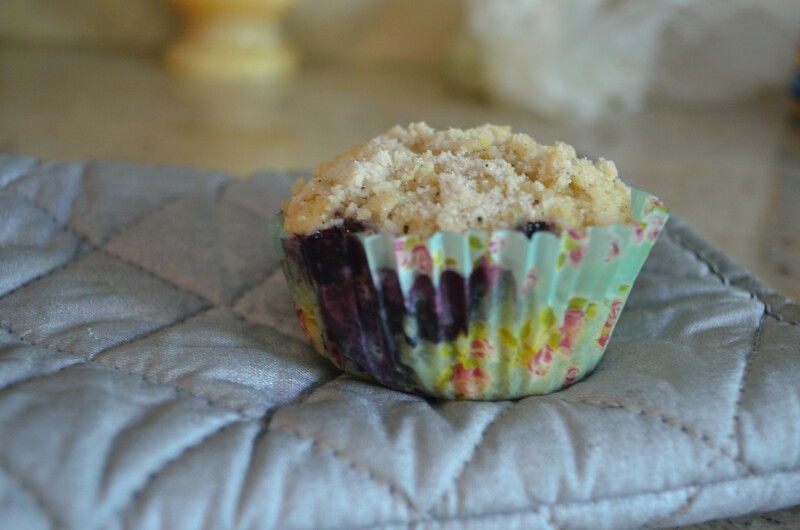 The body of the muffin is tender and studded with vibrant berries, and the tops are sprinkled with a cinnamon-y streusel. Yum yum yum! You can store these in the fridge for about 5 days, but they also freeze extremely well, and just need to be warmed up in the microwave. The same recipe can also be baked in a 9X9 square pan, and served as cake bars. 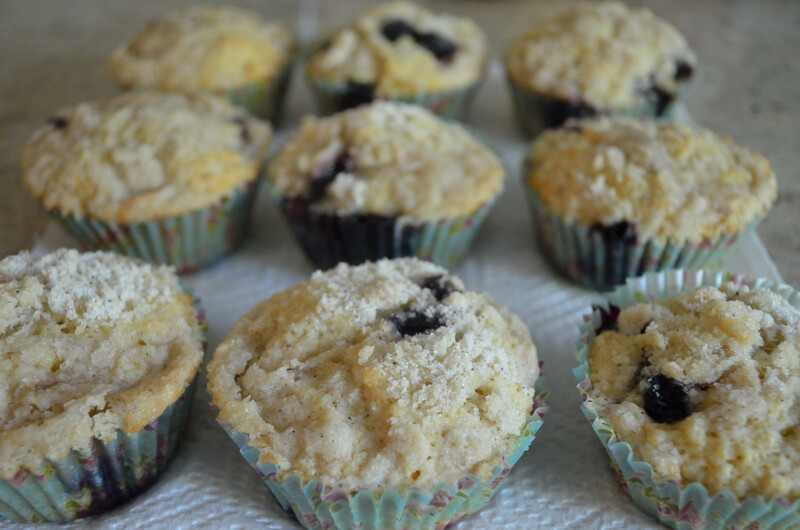 I hope you make these simple and scrumdidlyumptious muffins for yourself and your loved ones! 1. Preheat oven to 375 degrees F (200 degrees C). Grease muffin cups or line with muffin liners. 2. Combine 1 1/2 cups flour, 3/4 cup sugar, salt and baking powder. Place vegetable oil into a 1 cup measuring cup; add the egg (or replacer mixture) and enough milk to fill the cup. Mix this with flour mixture. Fold in blueberries. 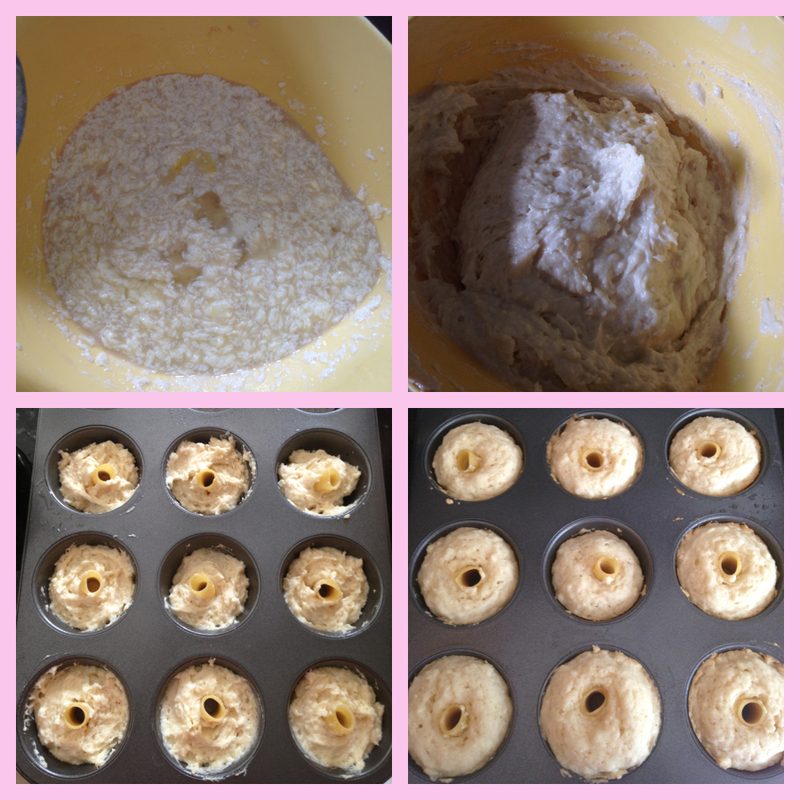 Fill muffin cups 2/3 full, and sprinkle with crumb topping mixture. 3. 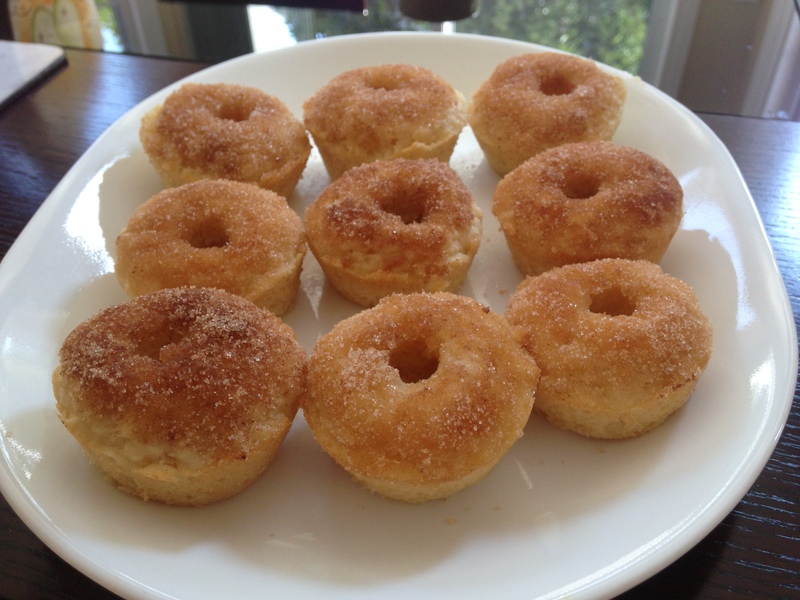 To Make Topping: Mix together 1/2 cup sugar, 1/3 cup flour, 1/4 cup butter, and 1 1/2 teaspoons cinnamon. Mix with fork, and sprinkle over muffins before baking. You know how you have those go-to recipes? Like if someone new is coming over and I want to semi-try, I usually make my lemon poppy seed bread. Cookies? I’d go with my peanut butter. Cupcakes? Cake? Got a go-to for them all. But muffins? Nope. I’ve made so many muffins over the years, and sometimes I even get a temporary favourite, but that never lasts more than a month. 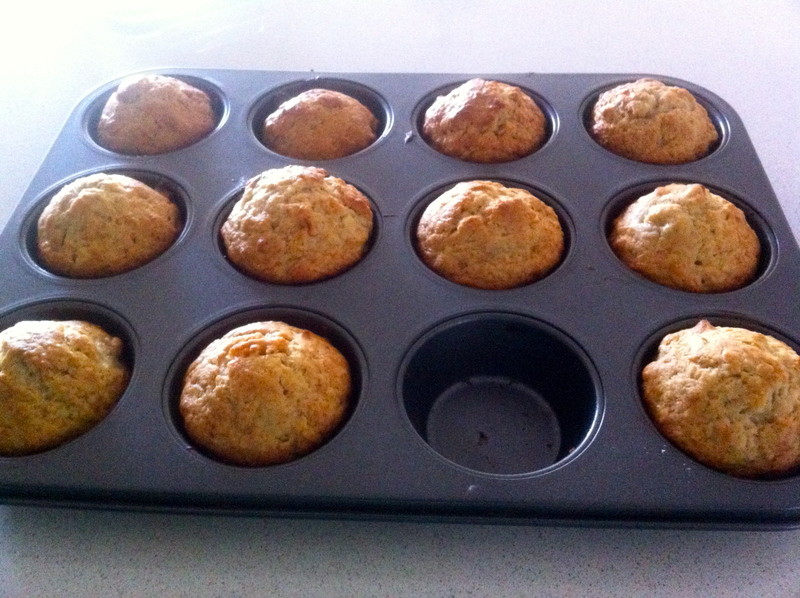 However, I think I may have found a go-to muffin recipe that is simple yet also much more tasty than you would think. 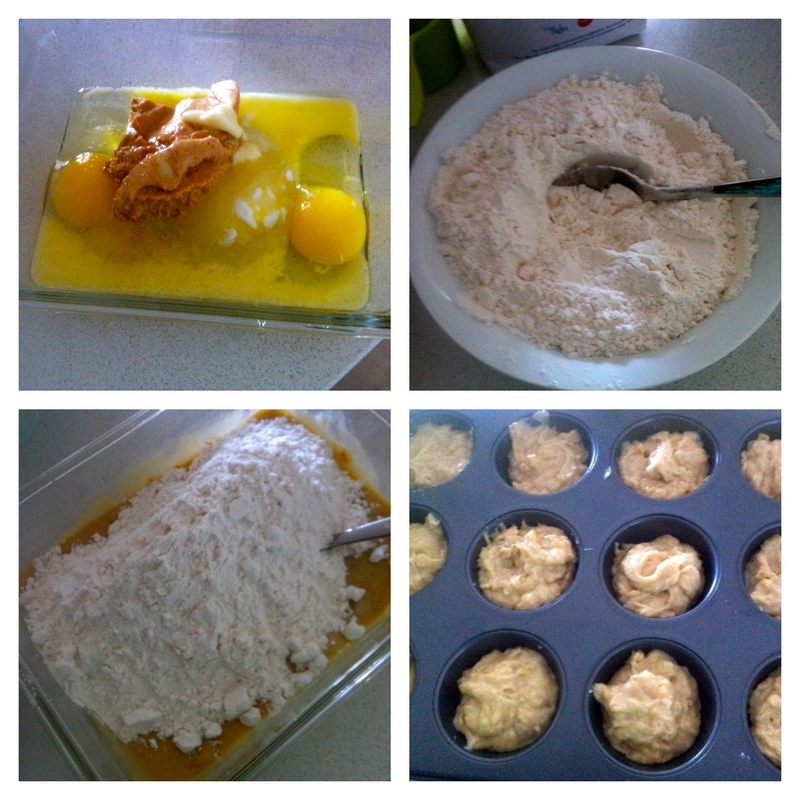 I made these muffins purely based on what I had available to me. Baking is a great way to use up those extra bananas that are too unappealing to eat, or those berries that you spent a solid amount of cash on but didn’t eat nearly soon enough. So I had overripe bananas and some peanut butter on hand and found a recipe to tryout from Laura Vitale. Simple, tasty, and a definitely will be made again and again! 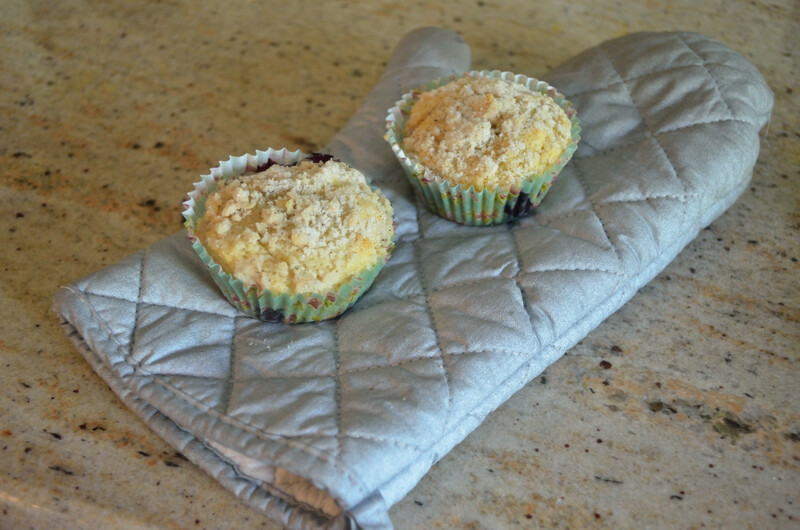 1) Preheat the oven to 400 degrees, line a muffin tin with liners and set aside. 2) In a small bowl, whisk together the flour, baking powder and salt, set aside. 3)Add 3 Tbsp of the dry ingredients mixture to the peanut butter chips and mix together till they are coated in the flour. Set aside. 4) In a large bowl, using a hand held electric mixer, cream together the oil, eggs, sugar, vanilla, peanut butter and mashed bananas. 5) Add the dry ingredients and mix them in to combine well but making sure to not over mix. 6) Fold in the peanut butter chips. Using an ice cream scoop, fill your muffin liners and bake them for 15 to 18 minutes or until a toothpick inserted in the center comes out clean.